Nayantara Sen is a cultural and narrative strategist, a network builder and a racial justice educator and trainer. She is manager of cultural strategies and a senior trainer at Race Forward: The Center for Racial Justice Innovation. At Race Forward, she facilitates racial justice workshops to support movement organizations and non-profits, and develops curricula, strategies and programs for racial equity. She supports the growth and development of Race Forward’s narrative and cultural strategies work, which aims to build cultures and narratives that create healing, justice and power for communities of color. She is the program designer and manager of the Racial Equity in the Arts Innovation Lab in New York City, which is equipping 60 arts and cultural organizations with racial equity practices and prototypes. Nayantara is also the founder and co-principal of Art/Work Practice, LLC, a consulting firm and collective of working artists that practices at the intersections of arts, culture and organizational change in order to build equity across all people’s work. Since the mid 2000’s, Nayantara has trained thousands of non-profit and philanthropic sector professionals, students, teachers, administrators, funders, grassroots activists, labor organizers, public health and social service workers. With a background in arts administration, Nayantara has worked in film festivals, community theatre, and production and curation. As the program manager for Crossing Borders, Bridging Generations, the award-winning oral history archive and public programming series on mixed-race families and politics at the Brooklyn Historical Society, Nayantara curated interdisciplinary programs that addressed the intersections of race, gender, class, media and art. 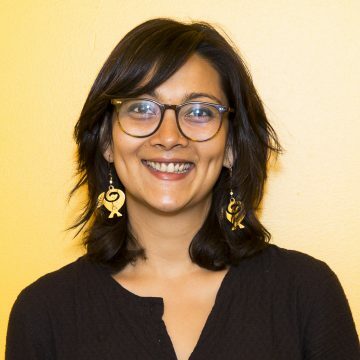 Nayantara is an affiliate consultant and trainer with the Interaction Institute for Social Change in Boston, and sits on the training bench for the Center for Racial Justice in Education in New York City. Nayantara has a M.A in Postcolonial Literature, Social Movements and Creative Fiction Writing. She lives in Oakland, California, and writes short stories featuring themes of migration, nostalgia, home and belonging.